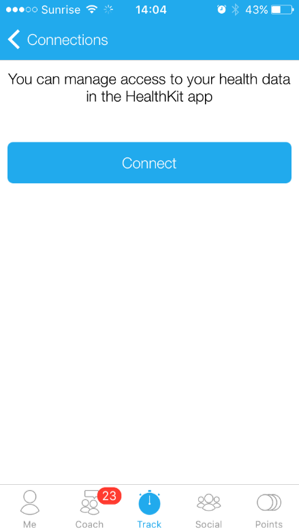 dacadoo is now HealthKit enabled and you can connect the Apple Health app with dacadoo in order to transfer several categories of health data, which will take less than 5 minutes. 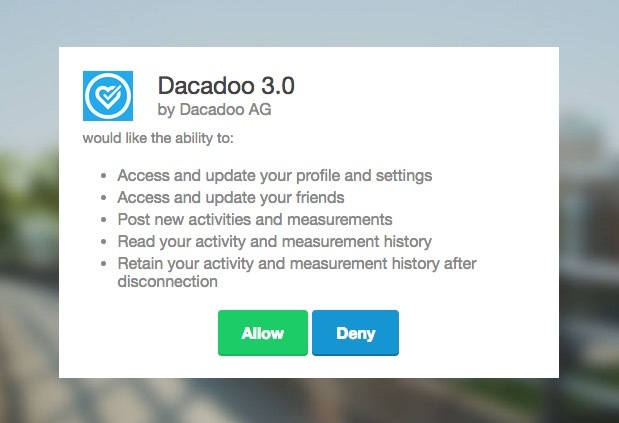 If you are using dacadoo for the first time, an information box will appear as soon as you log in and open your dacadoo app. 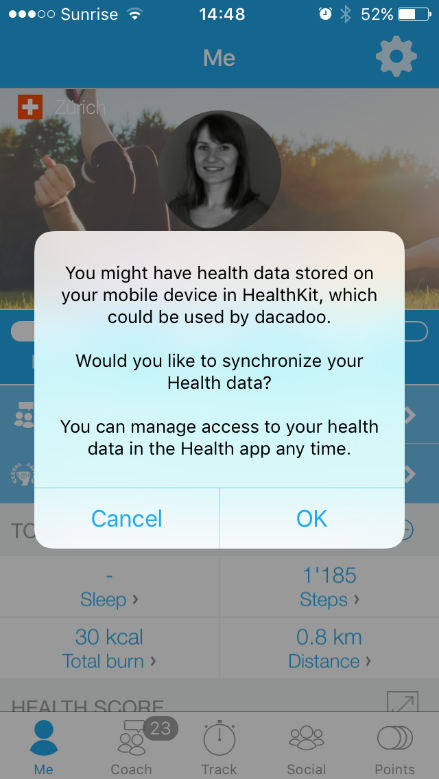 Click on OK to allow the synchronization between dacadoo and the Apple Health app. 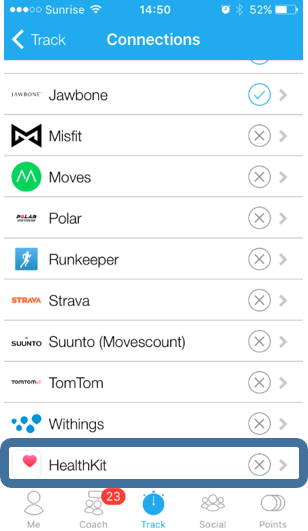 If the information box doesn’t appear, click on Track > Tracking Devices/Apps > Scroll down and select HealthKit > Connect. 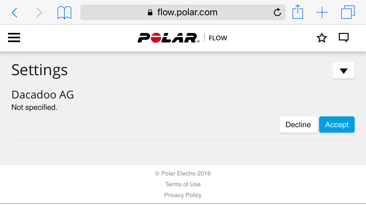 You will be automatically redirected to the Apple’s Health app.Here you will be able to allow access to your health data. 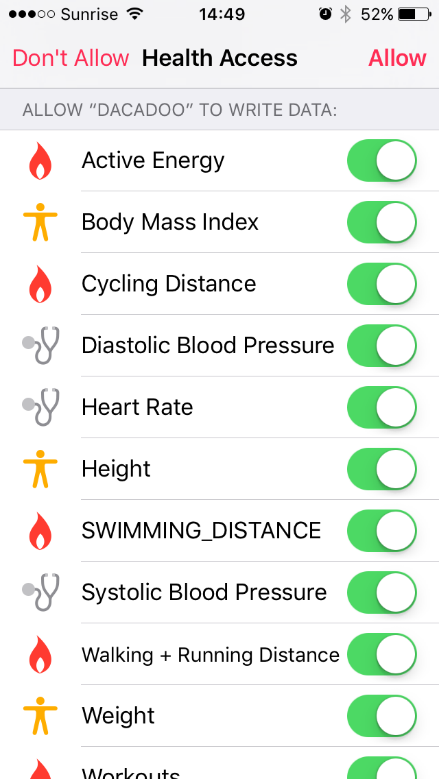 Please note that you can allow the synchronization of all health data categories by clicking on Turn all categories On, or by selecting just certain categories (e.g. 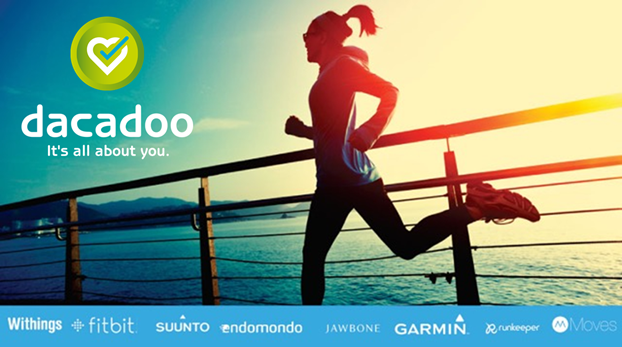 Steps, Body Mass Index, Cycling Distance, etc.). 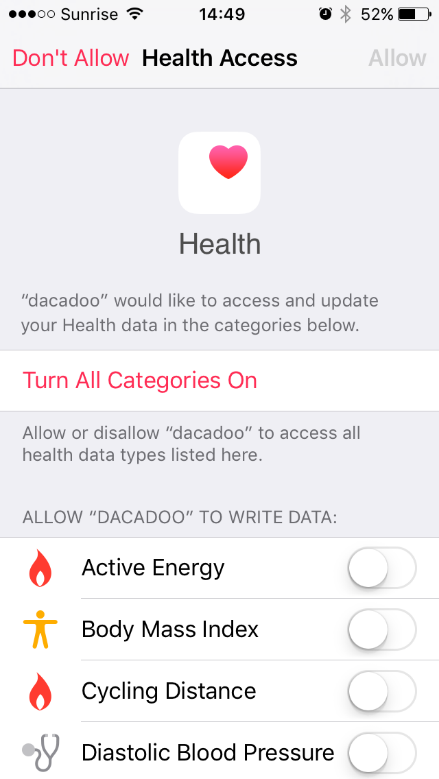 Additionally, please note that dacadoo can export (ALLOW “DACADOO” TO WRITE DATA) and import (ALLOW “DACADOO” TO READ DATA) data from and into the Apple’s Health app. 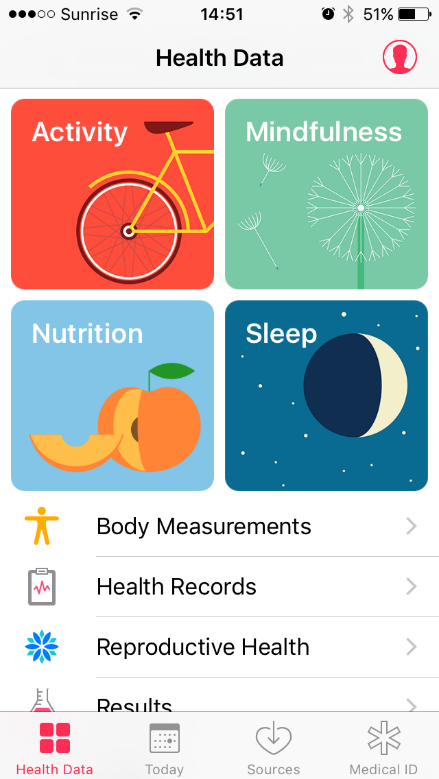 You can manage your settings and change access to your health data in the Health app anytime. 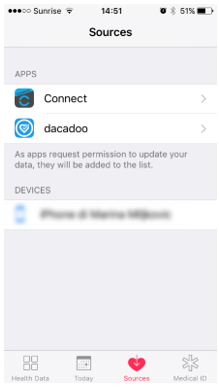 Take the following steps: Open Apple’s Health app > Click on Sources > Click on dacadoo > Activate or deactivate the data categories that you want to synchronize with dacadoo. 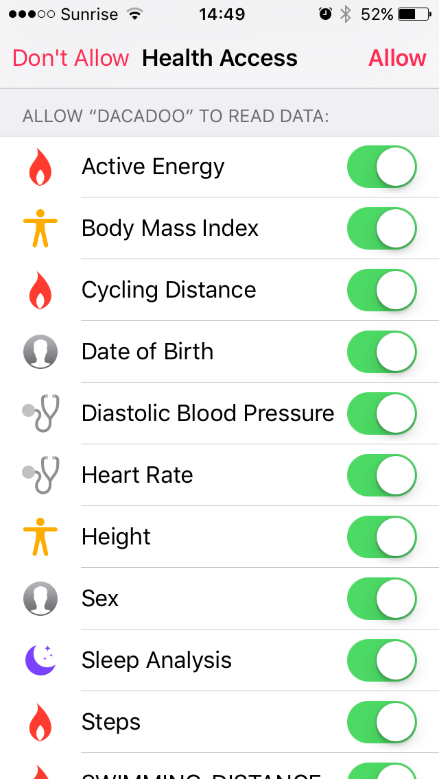 Alternatively, you can turn off the access directly in the Apple Health app. 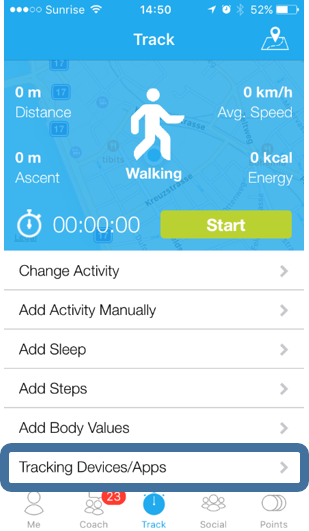 If you have an iPhone 5S or newer, you can also track steps directly via the Apple HealthKit / the Apple Health app, as the iPhone has a step counter chip (M7/M8 chip) built in. 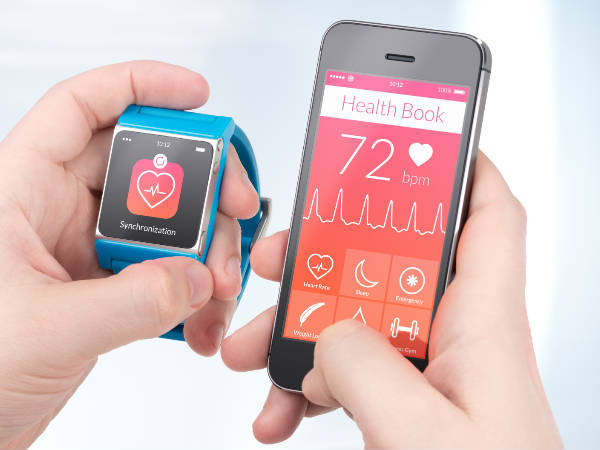 Once you have connected dacadoo with the Apple Health app (see section above), open Health on your iPhone > Click on Sources > Click on dacadoo > Go to the section “ALLOW DACADOO TO READ DATA” and activate Steps. 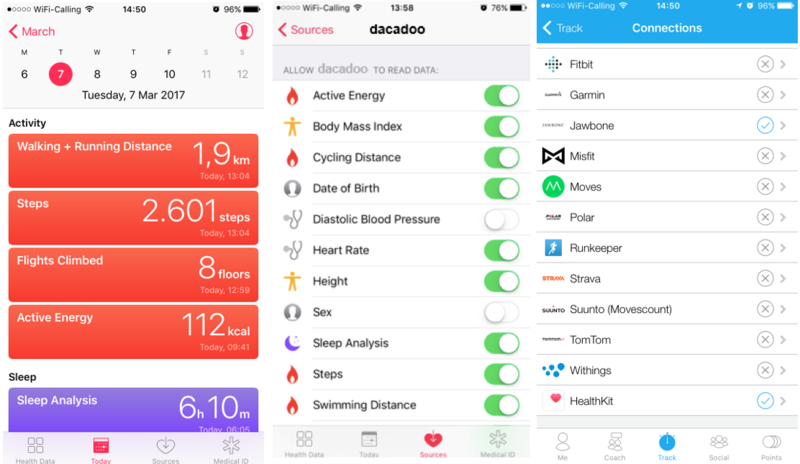 For all of you who used dacadoo before the most recent release and who already tracked steps directly via the dacadoo app on your iPhone, please note that you now need to reactivate step counting in the Apple Health app to continue using this functionality. 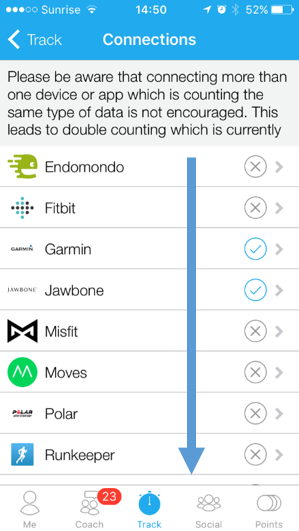 How Well Do Fitness Trackers Really Work?